I was recently writing an article for the Hazar Strateji Enstitüsü / Caspian Strategy Institute (HASEN) on the subject of physical security of critical electric infrastructure. 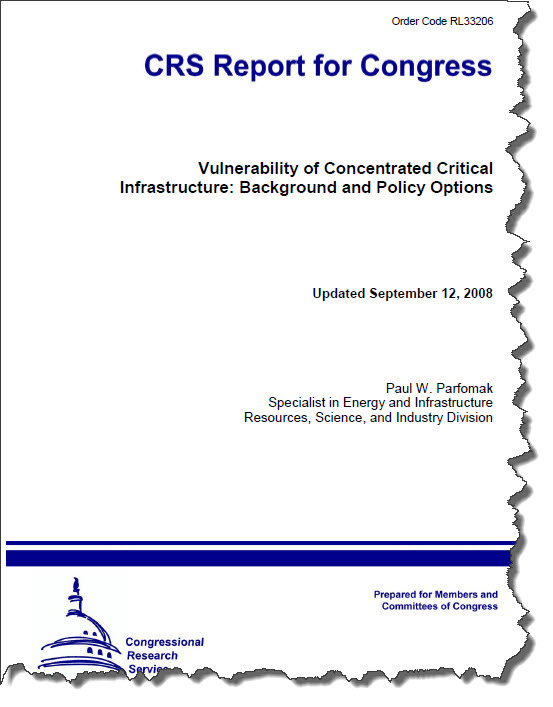 During my research I came across a very interesting -- and I believe timely -- Congressional Research Service (CRS) Report entitled Vulnerability of Concentrated Critical Infrastructure: Background and Policy Options. 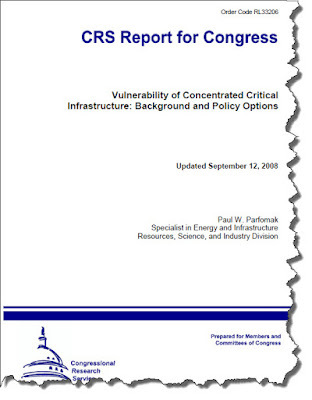 The report was prepared by Paul W. Parfomak and updated on September 12, 2008. I found this report to be an exceptional analysis of the vulnerabilities posed to the US with critical infrastructure concentrated in geographic areas. Such concentration increases the vulnerability to events like natural disasters, epidemics, certain kinds of terrorist attacks, etc. "...the physical location of critical assets in sufficient proximity to each other that they are vulnerable to disruption by the same, or successive, regional events." In addition to the sobering numbers above, if you look at the combined geographical area of New York City and Northern New Jersey the US port capacity is 12% and airport capacity is 8%. 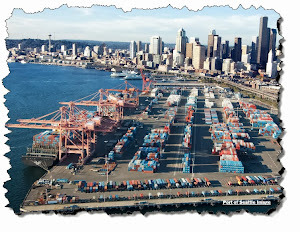 Overall this is an excellent and thought-provoking report on the strengths and vulnerabilities posed by the concentration of infrastructure in the US economy. This document is a useful discussion for students focused on urban planning, critical infrastructure planning and management, and those interested in reducing infrastructure vulnerabilities.